New BLHELI32 ESC with F3 MCU, give more smooth control and faster responding speed. The Holybro Kakute F7All-In-One flight controller makes it easy to build your multirotor. 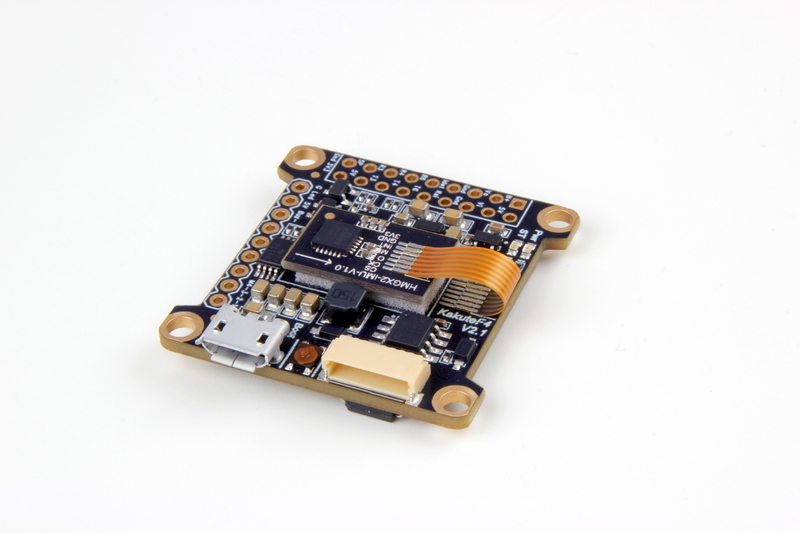 It integrates flight controller (FC), power distribution board (PDB), and on-screen display (OSD) in one. The Kakute F7 AIO’s layout makes it easy to wire up the other components of the multirotor while keeping the build neat and tidy. • Supports Betaflight, Butterflight, and Cleanflight. • Betaflight OSD. Change PIDs, adjust common configuration parameters, and change video transmitter channel and power level, all using your transmitter sticks and goggles. • Soft-mounting built in. The IMU (“gyro”) chip on this board is mounted on vibration-isolating foam. This means that there is no need to soft-mount the board itself. • High-performance / low-noise / high sensitivity IMU. ICM20689 with 6-axis gyro and accelerometer. Can run at up to 32 kHz sampling rate. • Ready for autonomous flight: Integrated BMP280 barometer and SCL/SDA pads for use with external GPS/magnetometer units. • 2 oz. copper PCB allows up to 120A maximum continuous current. • Dedicated bootloader button for easy firmware flashing. • Low-profile design fits into even very compact frames. • Input voltage 7v to 42v. Power the board directly from the flight pack, up to 6S (on “B+” pad only). • Automatic voltage monitoring. No need to run a separate vBat wire for voltage monitoring; the Kakute F7 AIO monitors voltage directly from the battery power lead. • Filtered voltage output for clean, noise-free video. On-board regulators output 5v at up to 2 amps and 3.3v at up to 200 mA to power peripherals such as receiver, video transmitter, FPV camera, or LED strip. • Supports BLHeli pass-through for easy ESC upgrade and configuration. • All UARTS support hardware inversion. SBUS, SmartPort, and other inverted protocols work on any UART without “uninvert hack”. • Supports serial receivers (SBUS, iBus, Spektrum, Crossfire) only. PPM and PWM receivers are not supported. The Holybro Kakute F7All-In-One flight controller makes it easy to build your multirotor. The Holybro Kakute F7 flight controller makes it easy to build your multirotor. 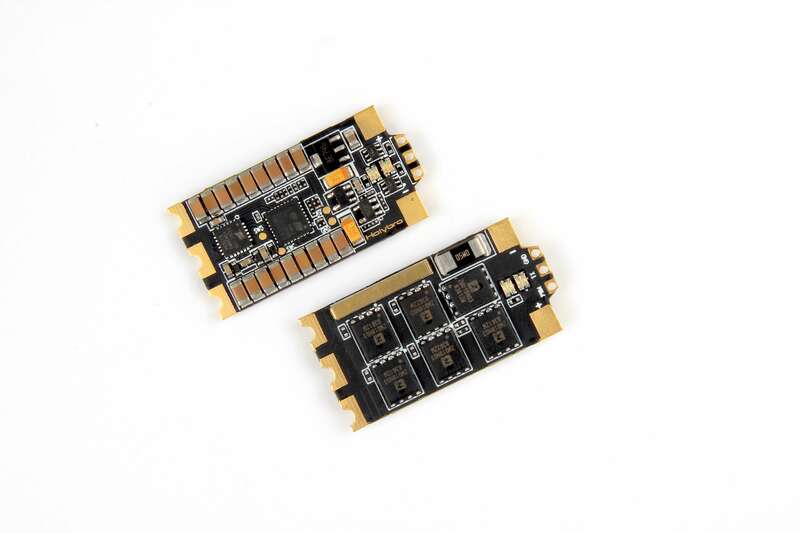 The Holybro Kakute F4 flight controller supports important features of Betaflight/Cleanflight, such as OSD and Dshot. 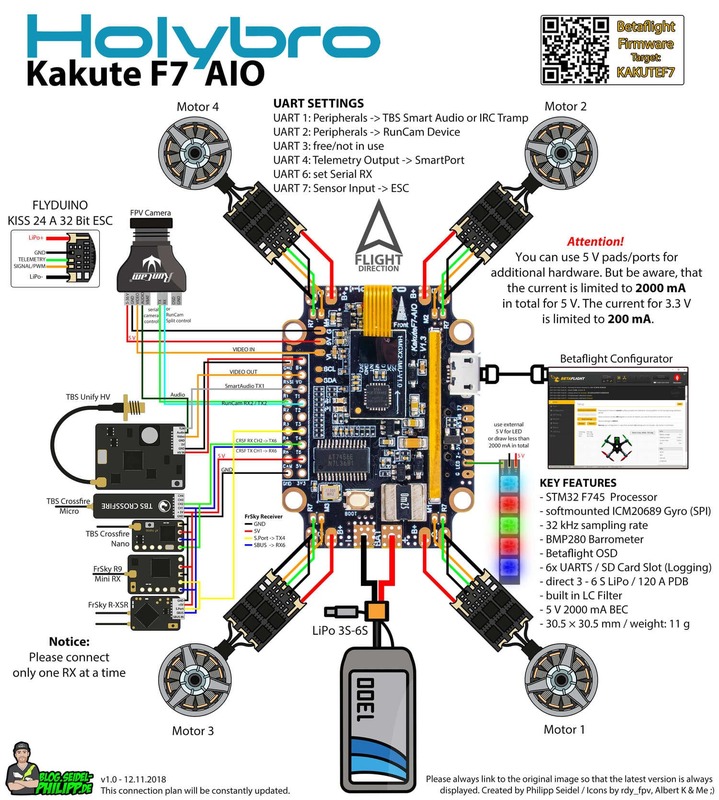 The Holybro Kakute F4 AIO All-In-One flight controller makes it easy to build your multirotor. 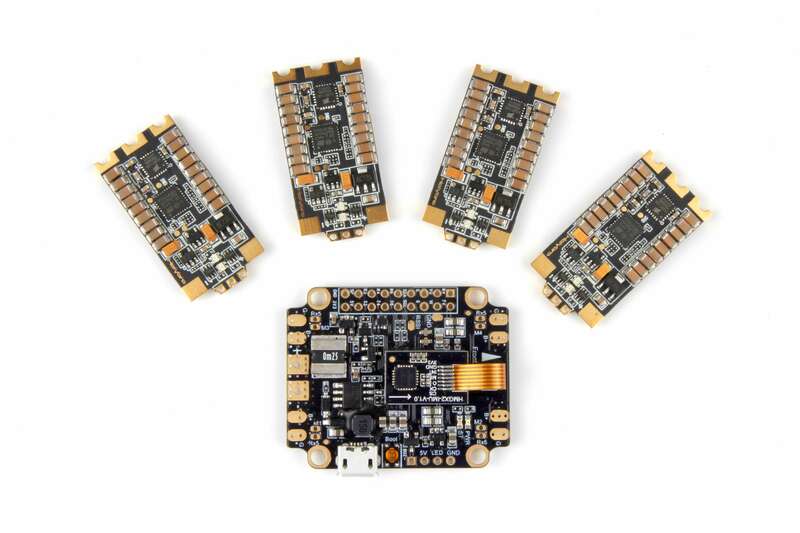 Powerful 4in1 ESC with BLHELI32 firmware natively supports ESC Telemetry function. Tekko32 is the latest BLHeli32 ESC from HolyBro Hobby, premium class product. Copyright © Holybro 2014-2016 All rights reserved.